Scott-Moncrieff has announced that it is to merge with Inverness firm Callander Colgan. The Glasgow and Edinburgh-based accountancy practice said the move will give it an increased presence in the Highlands and a permanent base from which to serve new and existing clients. The merger will take effect from 1 May with the expanded firm retaining the Scott-Moncrieff name. Callander Colgan was established in 2008, and focuses on providing a comprehensive range of audit, accountancy and business advisory services to clients across the Highland region. Scott-Moncrieff, which claims to be the oldest accountancy firm in Scotland, has until now had only an informal presence in Inverness. The merger will see Mhairi Callander become a partner within the newly expanded firm, heading up the Inverness office. Brian Colgan will remain as a director. All 12 staff will be retained in the Inverness office post-merger. 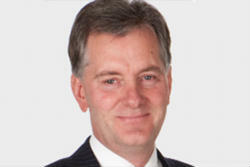 Stewart MacDonald, managing partner of Scott-Moncrieff (pictured), said: “When I became managing partner of Scott-Moncrieff in 2013, I said that we would not shy away from consolidation, but instead would take the time to seek out new partners and deals that offer the best for us and our clients. Scott-Moncrieff, which is the oldest accountancy firm in Scotland, has announced the appointment of five new partners in the last six months. The firm is a member of Moore Stephens UK, and a part of the Moore Stephens International Network, now one of the leading international accounting and consulting networks outside the Big 4, comprising 636 offices of member and correspondent firms in 100 countries worldwide, involving over 21,000 partners, principals and staff.